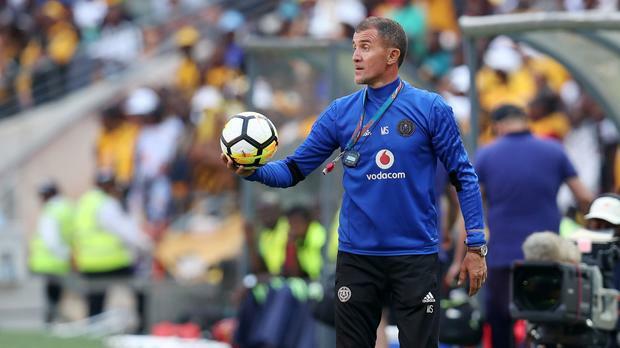 JOHANNESBURG – SOUTHERN African clubs are hoping to impress in their home matches as the Confederation of African Football (CAF) Champions League resumes on Friday. AS Vita Club and TP Mazembe (both Democratic Republic of Congo), Simba (Tanzania), Mamelodi Sundowns and Orlando Pirates (both South Africa) and FC Platinum (Zimbabwe) will be in action. On Friday South African champions Sundowns will host ASEC Mimosas of Ivory Coast at the Lucas Moripe Stadium in the capital Tshwane. Kickoff is 21h00 local time. On Saturday, FC Platinum host Guinean counterparts, Horoya, at their home-away-from-home Barbourfields Stadium in Bulawayo while TP Mazembe play Tunisian side Club Africain at Stade TP Mazembe in Lubumbashi. Both matches kick-off at 15h00. AS Vita Club hosts Algerian side, JS Saoura, at Stade des Martyrs in Kinshasa in a match that kicks-off at 18h00. Pirates entertain defending champions, Tunisia’s Esperance, at Orlando Stadium in Johannesburg. The other fixture features Egypt’s Al Ahly SC battle with Tanzania’s Simba Sports Club at Borg El Arab Stadium. Both matches kick-off at 21h00. Meanwhile, Nigerian champions Lobi Stars will start rolling the ball at home to Morocco’s Wydad Athletic Club at the Aper Aku Stadium in Makurdi. The encounter which kicks-off at 18h00, running concurrently with a North African derby between Egypt’s Ismaily against CS Constantine of Algeria at the Ismailia Stadium. Teams from the Southern African Development Community (SADC) region have over the years been punching bags in continental competitions.